There is a new addition to the Barbie family, Barbie Colour Me Cute. 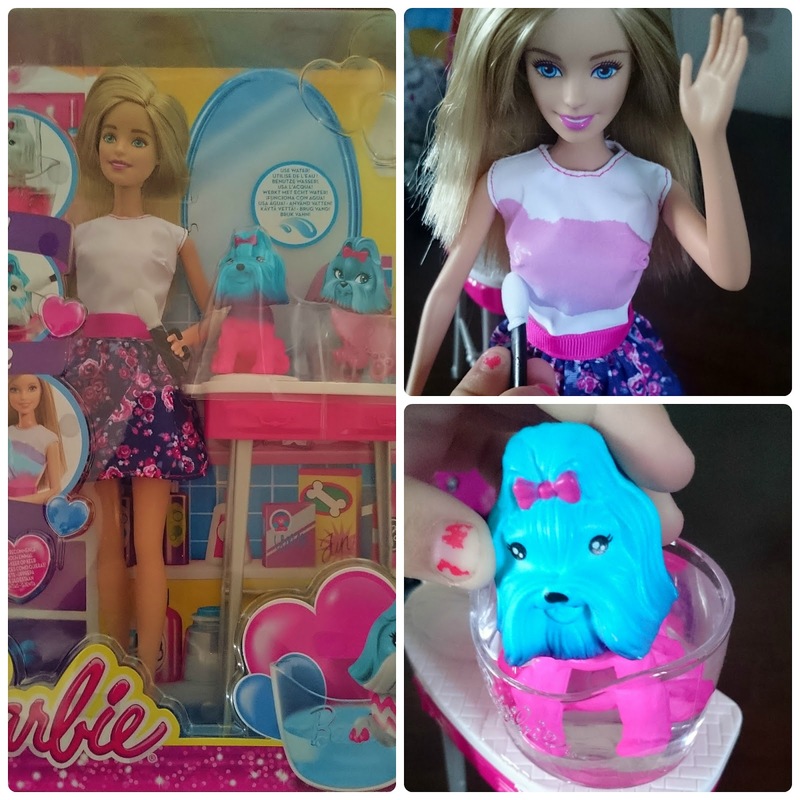 Barbie is supplied with a rather cute puppy, washstand, basin and brush. 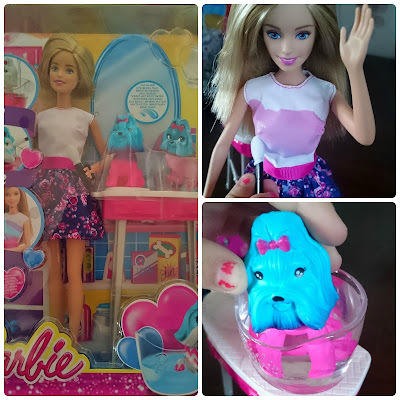 Her outfit and puppy can be transformed using water as they having colour change features. Grotbags really liked Barbie’s flowery skirt and high black heels (what is it with girls and heels) and her hair is beautifully straight and sleek. Grotbags loves playing and creating, she especially likes to design clothes and shoes at the moment, so was happy to try out the new Barbie. To start she filled the basin with ice cold water and using the brush provided created colourful designs on Barbie’s top, she liked the fact that if she made a mistake it would disappear as the top dried and she could do it again. The puppy needs to be dipped in ice cold water until he turns white and then by using warm water his colour can slowly be revealed. Grotbags found this confusing at first as you did the opposite on the puppy to Barbie’s top but once she got the hang of it she was ok.
Another cute playset from Barbie which is ideal for children aged 3 years and above and retails at around £24.99. We were provided with this item free of charge for the purpose of this review.